The world is up in arms after a brutal murder is captured on video and broadcast around the globe. The man responsible, Ephraim Todd — who previously burned the island of Eden to ashes — is alone and incarcerated, trapped in a world where no one believes his story. Yes, he killed Neven Connolly, but it was in self-defense. Unknown to Ephraim, Neven is alive and well. His death was all part of the plan, and Ephraim played his part so perfectly well. Now all Neven needs is for Ephraim to stay in jail and out of the way. But Ephraim escapes with the help of one of the world’s most powerful and beloved people—a man who may be to blame for the end of the world as we know it. 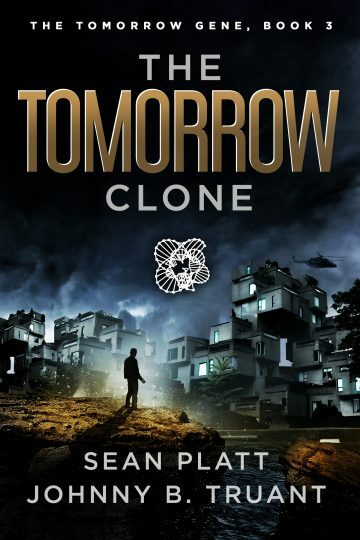 Will Ephraim stop Neven before it’s too late, or is the end of humanity one Tomorrow Clone away?